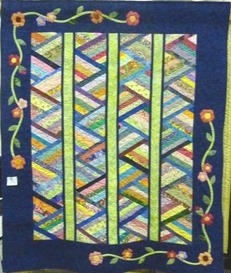 uilters’ Schoolhouse is for those who wish to expand their quilting skills. Members of the Guild or the Treasure Valley present demonstrations, lessons, and workshops to promote the art and the love of quilting. Classes are typically held October, November, and January through June at Boise Rigging Supply the Saturday following Guild meetings. Details will be listed when classes are scheduled for the season. Detail information about our future monthly inspiring workshops will be posted below when finalized. Instructor: Eileen Wardle Cost: $15 Time: 9am – 1pm Location: Boise Rigging Supply, 6750 West Victory Road, Boise Learn how to eliminate binding faux-pas. Class is primarily a lecture with lots of handouts and samples.